The University of Southampton is a leading research university in the UK and is renowned as a premier engineering university, while the ORC has an international reputation in the field of Photonics Technologies. Many of the major developments in today’s technology were pioneered by our researchers, including the optical fibres and amplifiers that form the hardware backbone of the internet and the fibre laser which is used for a variety of applications ranging from manufacturing to defence. Our world-leading research centre is a hive of activity with over 200 staff and students working on cutting-edge research to provide innovative solutions for real life problems in manufacturing, communication technology, defence, healthcare, renewable energy and the environment. Applications are now invited for our Master of Science (MSc) course in the area of Photonic Technologies, in the ORC at the University of Southampton. Our next intake will be October 2016. 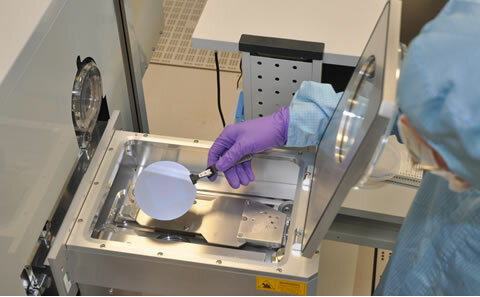 This MSc is the first Masters programme within the Optoelectronics Research Centre (ORC). It offers students access to an excellent range of photonics equipment and materials technologies within a vibrant community of researchers, led by some of the leading figures in the field of photonics. The new MSc lasts one year and will be delivered within Physical and Applied Sciences at the university’s main campus at Highfield. Working in our new, state-of-the-art cleanroom complex with access to our extensive range of optical laboratories, you will benefit from integrated transferable skills elements and participation in the ORC's week long Industry Showcase event, where you will work with leading local and national photonics companies, share their views of the current photonics market and see first-hand their products and emerging photonics technologies. Whether you intend to gain skills and expertise that will enable you to take up a position in a key industrial sector, or to embark on further postgraduate research, you will find that our MSc course in Photonic Technologies will give you the solid intellectual foundation and hands-on practical and technical skills that you need for a successful professional career in science, engineering and related photonics-based industry. Optional courses provide an opportunity for choice between the light and matter interactions or modelling techniques, and between nanoscience technologies and MEMS sensors. Individual modules are assessed by a mixture of coursework, assignments and examinations, and students must take a total of 30 credits per semester. The MSc runs for 12 months, with the compulsory and optional taught units taking place in the first two semesters. Examinations take place at the end of Semester 1 (January), and Semester 2 (May). If you successfully achieve 60 units of credit, you will progress to the research project, carried out over the summer. The project is an independent and individual investigation into a specific research topic, and will be supervised by senior academic and research staff mainly within the ORC. Note: that some of the course module codes have changed from when our MSc Handbook was printed - our links do connect to the correct modules. The project will involve cleanroom and optical lab work, or in exceptional circumstances can also be a theoretical-only topic. undertaken in that research group. Students who achieve 60 credits in the semester examinations may exit the programme with a Postgraduate Certificate. Those who achieve 120 credits may exit with a Postgraduate Diploma. The entry requirement for all Southampton MSc programmes is a UK 2.1 or 1st Class Bachelors honours degree (or overseas equivalent) in a relevant degree. i.e Physics, Electronics, Engineering, Materials Science or Mathematics. Our postgraduate Masters taught degrees are all advanced programmes (not conversion courses) and therefore you require good background knowledge to apply for this degree programme. The MSc taught modules are lecture-based, so a high level of proficiency is required in English and particularly in the understanding of spoken English. The preparation of a full-scale technical report (the MSc project report) is a major task that requires advanced ability and knowledge of written English as well as technical expertise. Overseas students applying for the MSc courses should achieve an IELTS score of 6.5 (with a minimum of 6.0 in all scores). For information on other accepted English language tests, please visit: http://www.southampton.ac.uk/admissions_language. If you are made an offer of a place, then please note that we require original documentation of any language score report in order to satisfy a language condition. If you are unable to meet our language entry requirement then pre-sessional English courses of 6, 12 or 15-week duration may be available in the University’s Centre for Language Study. We would advise you of these courses and the costs associated as appropriate. Applications for entry are open now; early application is advisable to avoid disappointment as places are limited. Please apply online ensuring that you select Optoelectronics Research Centre under the Academic unit. Unfortunately we are unable to offer any fully-funded studentships for MSc study. Furthermore, it is not possible to undertake part-time work while following the course full-time. Therefore you will need to be able to provide your own full financial support during the course. Some students taking the course are industrially sponsored, other students obtain financial support from local authorities, from professional institutions such as the IEE or from Career Development Loans. If you wish to obtain such sponsorship, you must make your arrangements independantly.